The Cheesy Omelette Bowl is a cheesy omelette filled with crumbled bacon bits and juicy mushroom slices on a bed of garlic rice. Because it comes in a bowl, it’s perfect for eating your breakfast with no hassle at all — whether you’re in the car stuck in traffic, waiting in the long line to ride the shuttle, or simply just waiting in between hours for your next meeting. 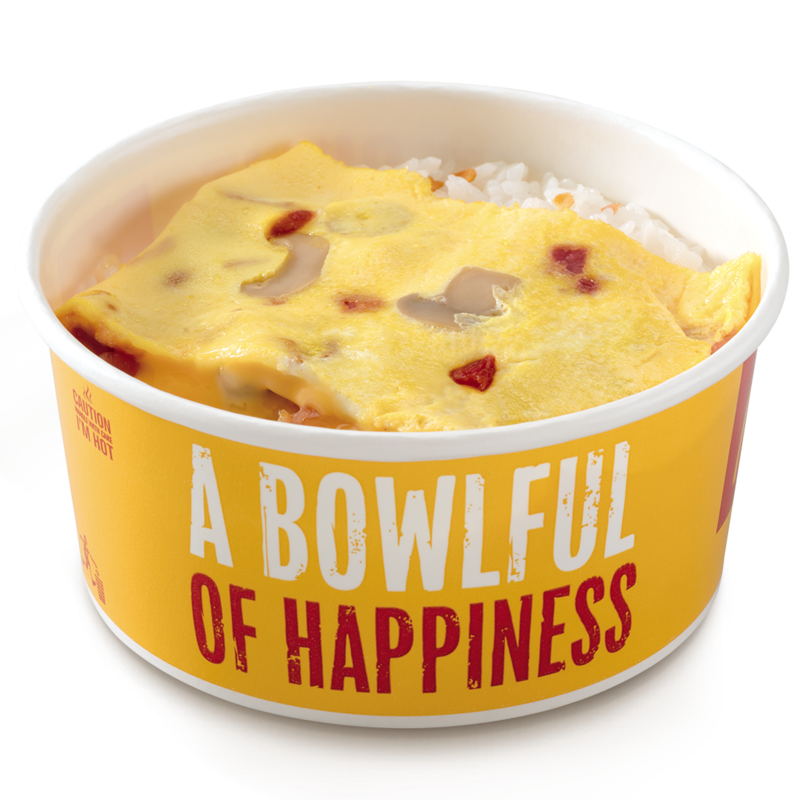 Grab McDonald's Cheesy Omelette Bowl for only P50 ala carte. This is also available as a meal with McCafé Premium Roast Coffee. Enjoy other delicious McDonald’s Breakfast McSavers like the 2-pc Hotcakes (P50), Cheesy Eggdesal (P39) and McCafé Premium Roast Coffee (P29). Prices may vary in select stores. The new Cheesy Omelette Bowl is now available nationwide in McDonald’s stores serving breakfast. You can also have it via Dine-In, Take Out, Drive-Thru, or McDelivery using www.mcdelivery.com.ph or the McDo PH app. Share your Cheesy Omelette Bowl experience and visit McDonald’s Facebook page (fb.com/McDo.ph) and @mcdo_ph on Instagram and Twitter.